Traditional Authority Govati of Mwanza has blamed fellow traditional leaders for orchestrating political violence by creating no-go zones for some political parties. 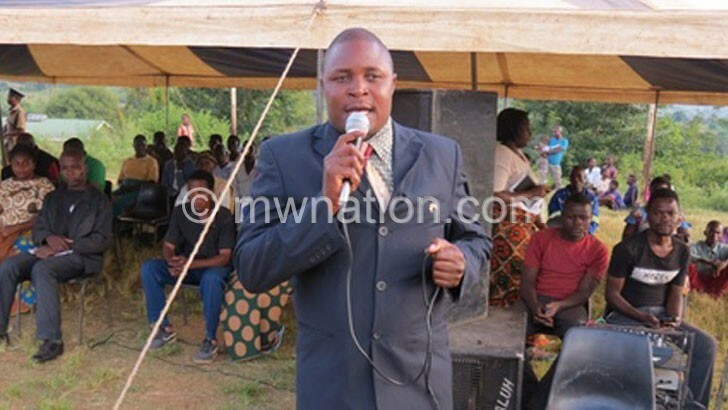 The chief said this at Thambani in the district on Friday during a debate for parliamentary candidates organised by National Initiative for Civic Education (Nice) Trust with financial support from Ligowe Community Development Organisation (Licodo). “Chiefs are to blame for political violence because they do not want some political parties to conduct rallies, a development which is fuelling violence. “Let us give equal opportunity to all parties so that the people have right choices about who should represent them,” he said. The traditional leader also blamed some party supporters for removing flags of other parties, describing it as a deliberate ploy to incite violence. He said if a party has erected its flags, the best way to counter that is by erecting a different one. Mwanza Nice district civic education officer Kumbukani Kalulu said chiefs, the council, parties and civil society organisations have signed an agreement to allow anyone to campaign anywhere to prevent conflicts. He said the debates have given an opportunity to aspirants to market themselves and also taught people how to vote. Six of the nine candidates attended the debate. They were Feckson Katsanga of Malawi Congress Party, Paul Chibingu of UTM Party, Graciano Major of United Democratic Front, Joyce Chitsulo of Democratic Progressive Party and independents Hudson Mwangalika and Samuel Chinyani.